At Villa Patria we offer the perfect luxury getaway with our Guest Villa catering to couples or small groups and our Villa estate accommodating up to eight guests. Please contact us for more information or to book your perfect luxury holiday. The perfect getaway for up to 8 people, or a corporate retreat for your management team. Pampered by exceptional staff, your delight is our objective. The entire estate can be at your disposal. 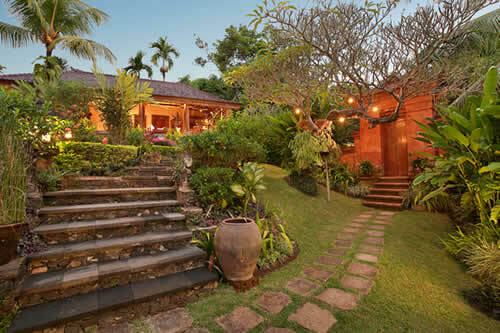 Enjoy architecturally unique residences furnished with a fine collection of Balinese art and antiques, and numerous amenities to make your visit to this blessedly remote paradise the memory of a lifetime. To enquire about availability, please email reservations@villapatria.com. A Villa Patria team member will reply within 24 hours. The perfect retreat for a couple desiring peace, tranquillity and a private environment for rest and renewal. 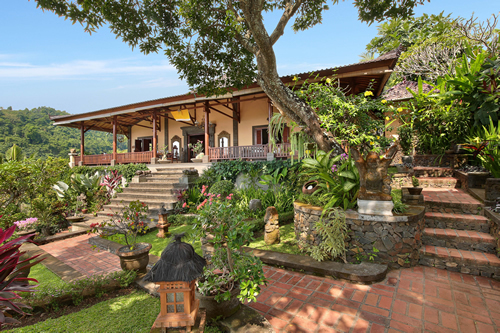 Your Guest Villa is air conditioned, with king-sized bed, enclosed/open bathroom with an additional antique Lumbung (rice barn) with queen-sized bed for up to two people available. Enjoy extensive dining choices as the days blend into each other and time stands still. Breakfast, excellent Wi-Fi and shuttle service to Lovina included. In our years of operation, Villa Patria has consistently received five-star ratings.